Can Aamir Khan save Thugs of Hindostan? This was the question that ran through many movie industry insiders' heads when news that the Aamir Khan-led film was going to be released in the Chinese mainland. The film was a huge failure in its home market, only taking in $22 million at the box office on a $42 million production budget. The film was critically panned as well, the audience rating for the film on film review website Rotten Tomatoes is a poor 4.1/10. While previous Khan films all became hits in the Chinese market - his sports film Dangal actually made more in China than in India - hopes that China could save his latest film were soon dashed. Premiering on December 28, 2018, Thugs of Hindostan earned 10.42 million yuan ($1.52 million) on its first day and its total weekend (Friday-Sunday) box office was 32.65 million yuan. On Tuesday, Maoyan, the Chinese box office data platform, ended up lowering its final box-office prediction from more than 90 million yuan to 57 million yuan. Even if Thugs of Hindostan manages to live up to Maoyan's prediction, it will still be the lowest-earning Aamir Khan film in the Chinese market since 2015's PK. "Failure," "tank," and "flop," these were just some of the words Indian media used to describe Thugs of Hindostan's recent performance in China. It is true that compared to Khan's recent films - PK (118 million yuan), Dangal (1.30 billion yuan) and Secret Superstar (747 million yuan) - Thugs of Hindostan's performance in the Chinese market is disappointing. However, an interesting phenomenon is that even though Thugs of Hindostan has not fared well in China either, its scores on Chinese film review websites are much higher than on Western sites. For example, while the film has a 3.5/10 and 4.1/10 on IMDb and Rotten Tomatoes, respectively, netizens gave it a 6.1/10 on Chinese media review site Douban and a 6.5/10 on ticketing platform Mtime. On Maoyan, the score has even reached an 8.2/10. "Ever since Thugs of Hindostan was released in India, the controversy surrounding the film has not stopped. After watching the film today, I felt it was necessary for me to say something," Wuya Huotang, a veteran Douban reviewer and blogger, wrote in a review posted on both Douban and WeChat in which he gave the film four out of five stars. The reviewer explained that even though Thugs of Hindostan is not a "good film," it is not a complete failure as a film. 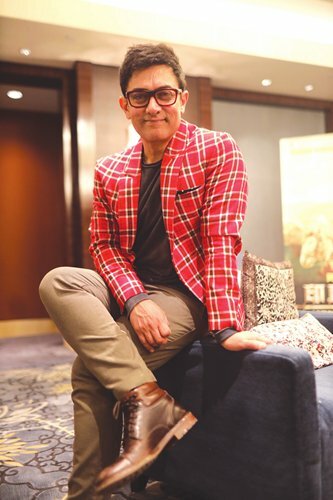 He attributed the extreme low grades on IMDb and Rotten Tomatoes to the sites' large number of Indian moviegoers, who prefer to see straightforward battles between a hero and a villain instead of Khan's role in Thugs of Hindostan, which switches back and forth between hero and villain. He also noted that Chinese audiences most likely were impacted by the negative news surrounding the film, which added to the challenges the film was set to face in China. For years, the average box office of Indian films in China had hovered around the 10 million yuan mark. For instance, Shahrukh Khan's Fan only earned 1.53 million yuan in 2016. However, since the success of Dangal in 2017, a majority of Indian films have been able to make more than 50 million yuan. The lowest-earning Indian film of 2018 in China, 102 Not Out, still made more than 30 million yuan. That is more than triple the average from just a few years ago. Monetary success aside, another positive consequence of the recent Indian film boom in China is that it has created the opportunity for the people of the two nations to begin paying more attention to each other. In an interview with the Global Times on December 25, Khan said that he had watched box-office megahit Wolf Warrior 2 and Chinese director Feng Xiaogang's feature film Youth. Both films came out in 2017, a year after Khan's Dangal became a hit in China, and would probably have been overlooked by the Indian actor if Dangal had not been such a success in the market. Khan was particularly impressed with Youth, an introspective film that he felt was far different from the kung fu action pieces that usually make their way overseas. Khan, who has now been to China five times, is planning to introduce more varieties of Chinese films to India. "I want to release them in India, so that the people in India can watch some of the modern Chinese films and get to know more about China," he told the Global Times. "Seen from the angle of overseas distribution, Indian films found China; and seen from the angle of cultural diversity, Chinese audience found India," WeChat film blogger Dushe Yingyi wrote in an article. The article noted that even though Thugs of Hindostan may not be a financial success, Indian film as a whole is still having an impact on the Chinese market, which is giving more share of its annual imported film quota to India. Indian films are also having an impact on what content is being made in China. The article pointed to Chinese box-office hit Dying to Survive as an example, explaining that Indian films' critical take on social topics helped foster the Chinese film, which tackled China's medical insurance system.